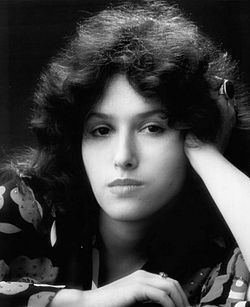 She was only 17 when she signed her first publishing deal. 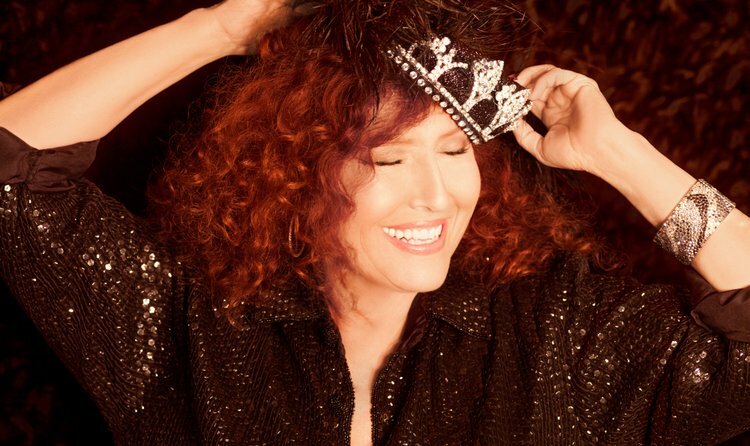 Forty-five years and 19 albums later, Melissa Manchester is still a force to be reckoned with. 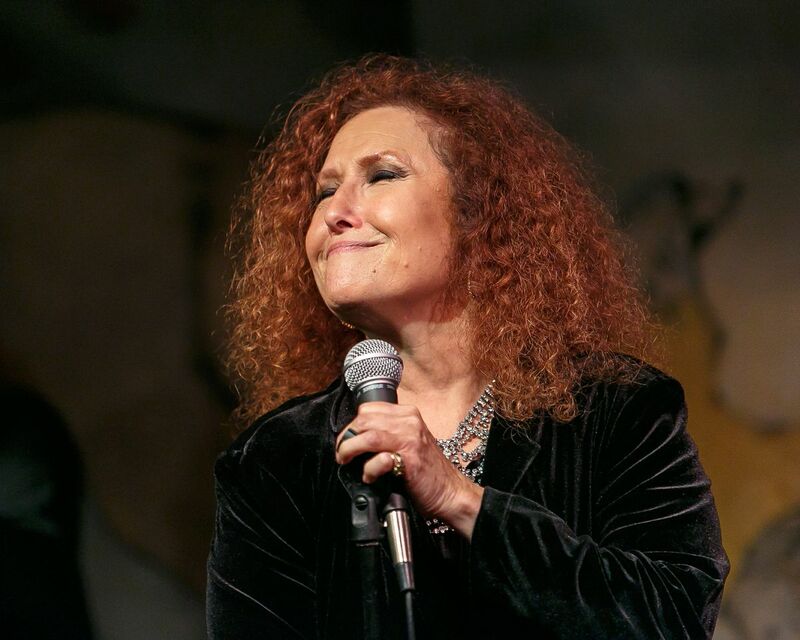 From studying songwriting with Paul Simon and singing backup for Bette Midler, to guest starring on The Muppet Show and winning a Grammy — it’s no wonder that she’s widely recognized as a legend in the music biz. 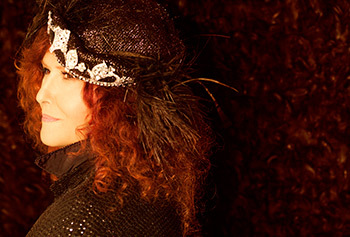 Making her mark as the first singer to have two nominated songs at one Academy Awards show (in 1980), her journey as a musician continues as she returns to the scene with her first album in 10 years, You Gotta Love the Life. Manchester takes her show on the road to UMass Lowell this week, offering students a one-of-a-kind music lesson before hitting the stage at Durgin Hall Saturday, Feb. 28 at 7p.m. for her only New England performance on her national tour (click here for tickets). Manchester took some time out of her busy schedule to catch HOWL up on her great comeback album, and how her own music students helped teach her some lessons in cutting an album in 2015. HOWL: For fresh ears, describe the sound and feel of your new album, You Gotta Love the Life. Melissa: It is the sound of live musicians making live music in a live studio. I really wanted to pay homage to how I started making music 20 albums ago with my band in the studio. What the listener will be hearing is what actually happened in the room. As far as the songs go, they are a reflection of the variety of sounds of music that I find appealing, and in terms of subject matter, they are reflections on things that I have learned and earned, and what I know to be true to myself so far. HOWL: You called in some big guns for this album, including Stevie Wonder. What was it like working with Stevie and what do you think his contribution added to the mix? Melissa: His contribution added a fantastic harmonica sound. He is a master harmonica player and is one of the two greatest harmonica players in the world. It was thrilling to know that he gets hundreds of requests every day to be part of some project and that he said yes. That was fantastic. HOWL: Both your parents had successful careers — your dad, a bassoon player for the New York Metropolitan Opera and your mom, who designed and launched her own clothing company. How did they influence your passion for music and which one do you think you take after more? Melissa: Because my parents were both artists, they really raised my sister and I to choose our dreams. That was simply the way they lived, and sometimes they had high highs and sometimes they had low lows, which is the general complexion of the life of an artist. They just adored us and wanted whatever we could hope for, and wish for and dream of to come true. I think I probably take after my mother more. Her credo was always, whether she had money or whether she was broke, “Well, you better be having a good time.” That was the credo that she lived and raised us by, and I think that the title of the album, You Gotta Love the Life, is a direct line from my inheritance of her. HOWL: You had the good fortune of scoring a publishing deal at age 17. After a 45-year-career in the music and entertainment business, what nugget of advice would you offer your 17-year-old self if you could travel back in time? Melissa: That’s a very good question. I appreciate that. I think the two things I have learned most that I would share with my seventeen year-old self, that I do share with my students, is when you are in the state of any kind of anxiety, be it good anxiety or bad anxiety, try to slow your brain down. You do that by deep breathing, stepping back, excusing yourself from the room and just finding a quiet moment to breathe and get your brain to slow down so that you can be part of whatever you’re in the midst of, whether it’s a business meeting or whether you’re in front of an audience. The other thing that I have learned is to really take accountability of what is my part and what is not my part, and that level of discernment sort of reflects the maturing mind because young artists are so overwhelmed by so much that’s outside of their songwriting or performing that they can’t fully realize what will be coming at them. Taking the time to step back and reflect helps you stay in your body, stay in the moment and stay true to yourself. HOWL: Your amazing career has so many high points — like singing backup for Bette Midler, winning a Grammy, writing songs for movies and guest starring on The Muppet Show, to name just a few. What do you consider your highest point so far? Melissa: Probably the highest point is that I have been able to have this 45-year-career. Forty-five years is a very long time with many chapters. I think the overall highest point is that I have gotten to work with or meet extraordinary people, that I have used my art to reflect my life and that somehow listeners have used my art to project their own lives onto it. That is the highest order–that my art has been in service to my fans and that is really unbelievable. HOWL: All jobs have highs and lows. What do you consider your lowest point and how did you get over it? I said, “Really, Nashville?” He said, “Yes, you need to start going to Nashville because in Los Angeles they only want to know what you’ve been doing lately, and in Nashville, they are just really going to be happy that you showed up.” So I said, “They’ll be happy that I showed up?” And he said, “They’ll be thrilled.” So I started going to Nashville regularly, and I started meeting remarkable collaborators who really stoked the fire that allowed me to make the last album that I made 10 years ago when I was down that road. That helped me get back on my path. HOWL: Okay, we have to ask…who is your favorite muppet? Melissa: I loved all of them. 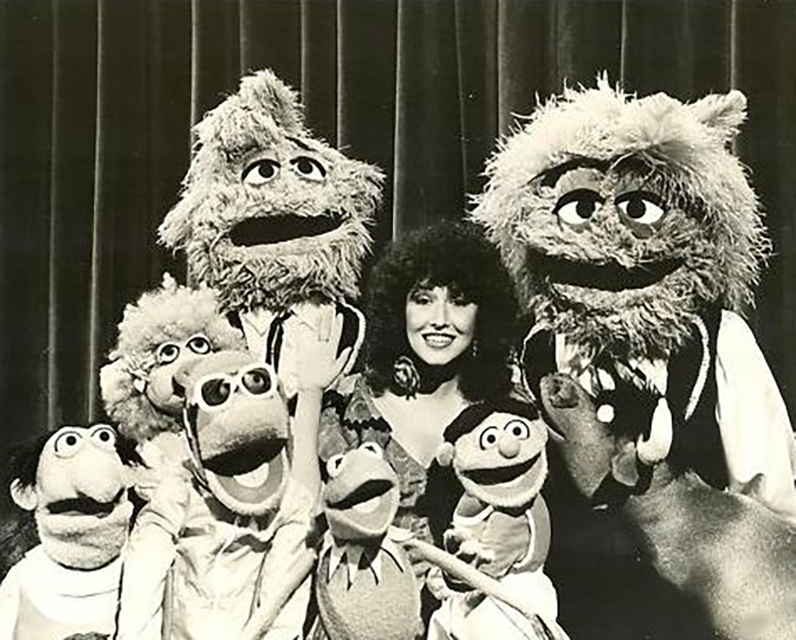 They were all fantastic and honestly, I have never worked so hard because The Muppet Show is all about the production. It was fantastic also to work with the late great director Jim Henson. It was a real honor. HOWL: Which singer/singers were big influences on your musical style? Melissa: My first two were Ella Fitzgerald and Judy Garland. Ella was really my psychic, musical Godmother. In terms of her purity, in terms of the light that she shined on my life from her sound. And Judy Garland, in terms of the vast emotional palette that she used in conveying a song. HOWL: Do you have any others? Melissa: For sure. Frank Sinatra, Tony Bennett, Nat Cole. You know, that crowd of rarified singers and the great songs written for them by great songwriters. And then, as I became a teenager, the first wave of singer/songwriters showed up and sort of reconstructed the American Popular Song. That was the next part of the journey. HOWL: Quick! Your music collection is on fire and you can only save one album. Which one do you reach for? Melissa: Man, wow! It would probably be Judy Garland at Carnegie Hall. 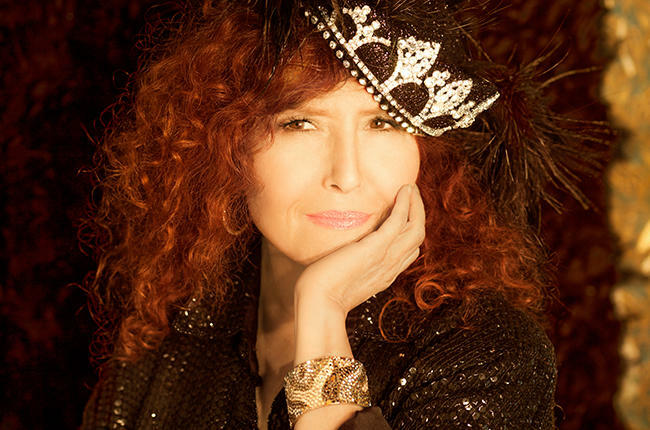 HOWL: How about from your own Melissa Manchester recordings? Melissa: From my own collection [laughs]. I think it would certainly be You Gotta Love the Life. HOWL: You studied songwriting with Paul Simon at New York University. What do you consider the most important lesson you learned from him? Melissa: The most important lesson I learned from him, that I teach my students, is: all the stories have been told. It is the way you tell your story that is your stamp of authenticity. HOWL: You have taken on the role of teacher at the USC Thornton School of Music. What motivated you to teach? Melissa: I was invited to teach a master class there. That was lovely and interesting and I had only taught once before and they kept inviting me back. So now I teach individual studies, individual students and I call it the art of conversational singing. But honestly, I teach whatever they come into the room wanting to talk about and work on. Sometimes it’s their songs. Sometimes it’s discussion about performances. Sometimes it’s about living the life and how to stay strong. HOWL: What personal mantra do you pass along to your students? HOWL: You took 10 years off from making music. What made you decide to get back into the recording studio? Melissa: The reason I got back into the recording studio is because my students at USC shined a light on the concept of crowdfunding, which I was really not familiar with. They encouraged me to do it to the point where one of my students became my project manager and my students all became my street team. They really taught my manager and I how to do this. It ended up being an adventure I didn’t want to miss. HOWL: What was your favorite thing about making this new album? Melissa: My favorite thing about making this new album was honestly everything–working with great musicians, having magnificent guest artists say yes so that they would be a part of this and having students come through the studio. The studio was at Citrus College where I’m honorary artist-in-residence and my engineer is also a professor of recording arts. Students would be coming through the studio to watch these musical discussions. There were many things that were my favorite part of the whole process because it was so extraordinary. It was really the greatest working adventure of my life. HOWL: You sourced crowdfunding to make this album happen. What was that like and would you recommend that approach to other musicians? Melissa: Well, it’s very rigorous. It’s very exhausting, it’s very exhilarating and it’s fairly engaging. Every couple of days, I would do a video to (parcel) out another part of the process of crowdfunding. And I found kind of a communal voice over Facebook with my fans to let them know the progress of the process. When I had to delay the release I said to my fans, “Please accept my apology, but this isn’t quite ready and we’ll get it out in February.” Everybody was like sweet aunts, uncles and grandparents. They were like, “Don’t worry, just do it right. Take your time. We’ll be waiting for you. You have nothing to apologize for.” It was so dear. It was really touching. HOWL: Your absolute dream gig of all time — where and with who? Melissa: I would love to sing with Tony Bennett because he is the last man of that crowd of people that so informed me when I was coming up. But what I thought about was that Lady Gaga has clearly taken up that torch and she’s so brilliant at it. That makes me very happy because she is introducing a whole new generation of people to real greatness with her love of those songs from the volumes of The American Songbook and her record with Tony Bennett, it’s just spectacular. HOWL: Have you ever visited Lowell before? HOWL: Is there anything you’re looking forward to see or do while you’re in town, besides teaching and performing at UML, of course. Melissa: I am looking forward to spending some time with Professor Gena Greher who organized all of this. We have been friends since we were born, so I am very excited. Our parents were best friends for 65 years, so it’s very lovely that this has come full circle. HOWL: Your album’s title, You Gotta Love the Life, are words to live by. 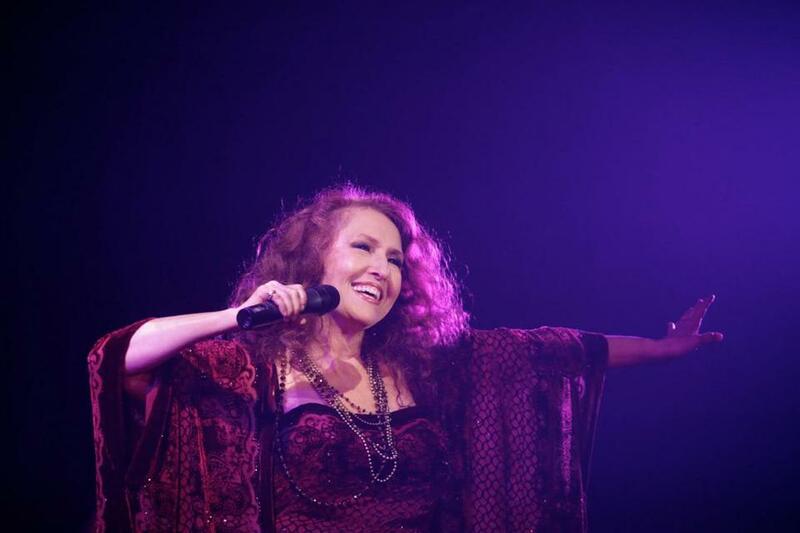 Right now, what is Melissa Manchester loving most about life? Melissa: I am loving that I am seeing the songs from this album that I created with Terry Wollman as my co-producer, being received so warmly. I love that it reflects my truth of what I know, what I have learned and who I am. It’s just a lovely moment and I am learning so much.